A delightful way to start the day! Guess what piece of clothing comes next and get little wardrobes in order as the dressing routine turns into a fun game. 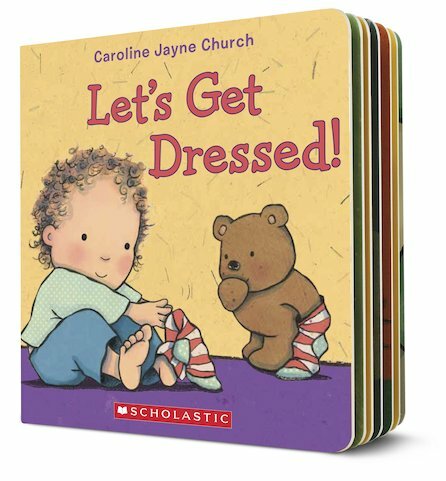 This exciting new board book teaches children how to dress themselves in a playful and interactive way (and can help parents who need a reminder!). The big flaps make for big fun and they’ll certainly keep you guessing as you’re dressing – Let’s Get Dressed makes getting dressed more fun than ever before! AD270L Lexiles are the global standard in reading assessment. They are unique as they are able to measure a child and a book on the same scale – ensuring the right book gets to the right child at the right time.